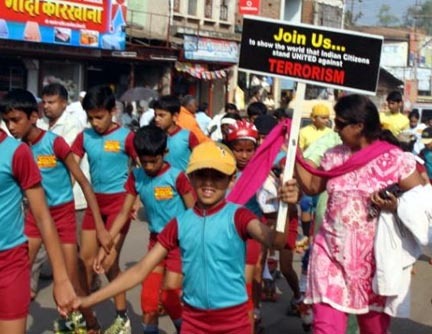 Yesterday the whole of India was paying tributes to the martyr’s of the 26/11 terrorist attack on Mumbai. 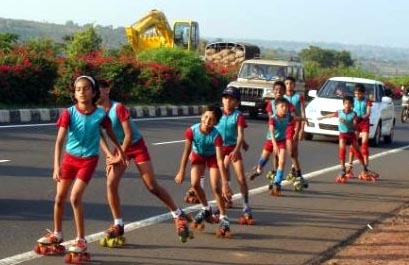 The young kids of the Belgaum roller skating academy paid homage to the martyr’s in a unique way by skating for 77 kms from Nippani to Belgaum. 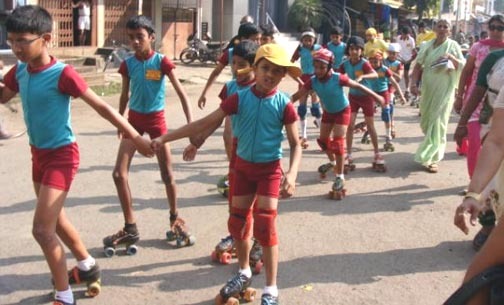 The next generation adolescents were aged between 6 to 14 years and altogether 47 boys and girls skated their way through from Nippani to Belgaum. 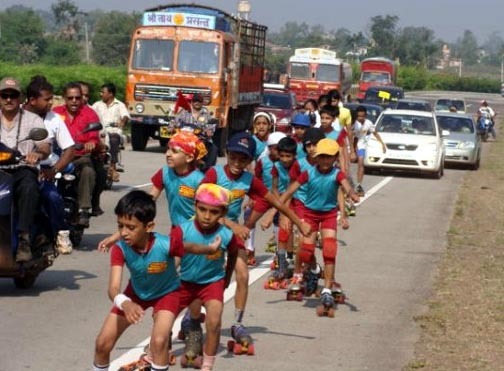 They reached Belgaum at 6.30pm and ended the rally at Sambhaji Chowk.